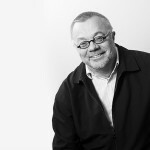 The writer works as a Communications coordinator at the Finnish Forest Association. In their programmes, Finnish political parties take a positive stand on promoting forest bioeconomy. Political debate may bring clarity to some views, though at worst the stands expressed by one and the same party actually contradict each other. Finland is set to have a parliamentary election on 14 April 2019, and the debate on forestry issues has mainly dealt with the level of future loggings in Finnish forests: should an increase be allowed, or should the level actually be decreased. Underlying this is the multitude of opinions on when Finland as a nation should reach carbon neutrality and when it should be carbon negative. On a closer study of the election programmes, the bingo played with the target years begins to amuse the reader. The years mentioned as targets are not connected to any of the actions proposed. One gets the feeling that the most important thing is to believe in something – be it electric cars, renewable energy or prohibiting the use of coal. Thus, all of sustainability should be evaluated only on the basis of the carbon sink alone, overlooking such things as biodiversity or the social sustainability of forestry or the forest industry, which would include the pay scales and occupational safety, for example. Because the SDP’s standpoint on the increase of loggings has been somewhat vague, other parties have pressed it for answers as to whether or not loggings should be increased. During the sick leave of party chair Antti Rinne, deputy chair Sanna Marin has replied that it is not possible to express an opinion because even researchers cannot agree upon appropriate harvesting levels. Juha Sipilä and Petteri Orpo, chairs of the Centre Party and the moderate right-wing National Coalition Party respectively, have expressed the opinion that politicians must be able to make decisions even on the basis of incomplete information. Orpo, for example, stressed in the party organ Verkkouutiset on 9 January that investments worth thousands of millions of euros under preparation require an answer from SDP as well, also because it currently leads the polls. In actual fact, though, it is not up to the Government to decide on the logging levels in Finland, as they are set by the market. A better question to ask of the politicians could be what the Government should do if the logging levels set by the European Union were to be exceeded and the Commission decided to make Finland pay for it. No one has asked this question, nor has anyone expressed an opinion about it. The SDP wants to increase the network of protected national parks and safeguard the funding for the Metso forest biodiversity programme. The party would also increase the funding for services in the national parks. The SDP states that wilderness tourism is a sustainable livelihood, and demands that the conditions for it should be improved – despite the fact that it is largely based on air travel, about which the party expresses deep concern elsewhere. The SDP wants to increase wood construction and demands that it should be supported by legislative measures and land use planning. But details about new legislation are not presented, nor is it pointed out that land use planning is mainly decided on by the local authorities and not the Parliament. The sensible thing for voters would thus be to ask the SDP candidates whether they have promoted wood construction locally, seeing that most of them also sit on local councils. Whether or not biomass is considered a carbon neutral energy source has also been a subject of debate. The SDP climate programme says it is; apparently, this applies to all types of biomass. As regards transport, the party programme makes no mention of biofuels. The election programme of the National Coalition Party states that the use of coal should be stopped during the 2020s, but it is unclear what should be replace it. The Coalition Party approves of the use of forest industry sidestreams in energy production, but points out that the volume of sustainably produced bioenergy will never be sufficient to replace fossil fuels. According to the party, fossil energy and peat should be replaced by reducing the overall share of energy produced by combustion. Is this, then, to be the solution: replace combustion by reducing combustion? The Coalition Party wants to exclude biomass combustion as well. The solution proposed for making this possible is electricity and thermal pumps. On how the electricity now produced by combustion should be replaced, nothing is said. Despite all this, the party considers the use of sidestreams from forestry in the production of liquid transport fuels to be an opportunity. It is difficult to say what they mean by this – at the moment, these fuels are not produced from the sidestreams of forestry but from those of the forest industry, and sad to say, using them will require combustion. According to party chair Petteri Orpo, it is also possible to increase harvesting up to the levels considered sustainable by researchers. The Coalition Party wants to allow different forestry methods; in particular, it wants to investigate the possibility for continuous-cover silviculture on peatlands. Just as the SDP, the Coalition Party wants to stop the ditching of peatlands to turn them into forest, some 20 years after this practice has been more or less discontinued due to forest certification. The first forestry-related objective of the Centre Party to be found is this: increase the forested area in Finland by such measures as afforesting abandoned agricultural fields, peat bogs no longer in production and corridors with buried powerlines. ’Poorly productive agricultural parcels could also be afforested,’ the party says. The Party wants to increase wood construction. It has good opportunities to do this, being the largest political party in local councils and thus with a key role in promoting wood construction. The Centre Party wants to launch a new forestry method: climate thinning. This refers to the thinning of young, over-dense forest stands, but slightly less heavily than before, in order to safeguard the forest carbon sink and minimise the risk of forest damage. In addition, these stands should be fertilized ’in the spirit of circular economy’ with ash from power plants fuelled by wood. According to party chair Juha Sipilä, the party also supports replacing liquid transport fuels by biogas, as well as increasing the harvesting levels. The Centre Party, too, wants to allocate more money to voluntary forest protection. The party would establish an online shop to promote the citizens’ voluntary protection efforts. In addition, the party has a brand new game policy, remarkable for the fact that even the Finnish Association for Nature Conservation supports most of its contents. 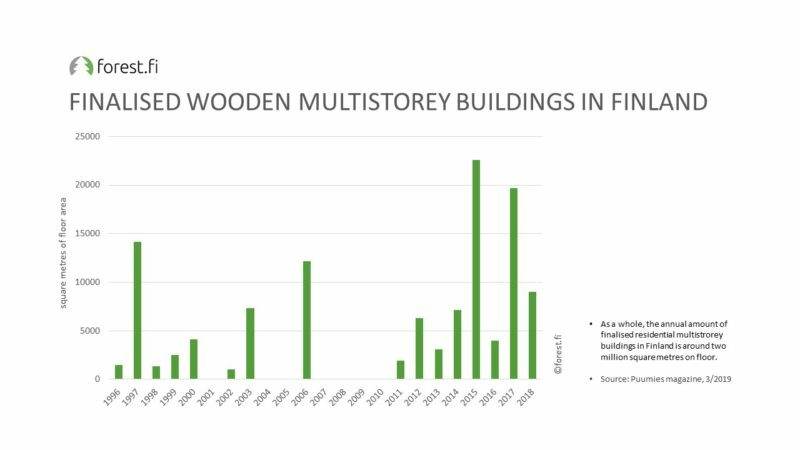 It is true that constructing of large wooden residential buildings has increased during the previous years in Finland, but to reach the level of importance, wood still has a very long journey to win, although every political party speaks in favour of wood construction. The Finns Party was split in two in summer 2017, and the part that continues under the name Finns Party is arguably the most right-wing party with representatives in the Finnish Parliament, and certainly the loudest critic of Finland’s immigration policy. According to the Finns Party, viable and productive forests provide both easy access to recreation and a livelihood. The party strongly supports the objectives of family forest owners; they must be able to implement their objectives, whether related to financial gain, landscape values or protection. However, the party does not want to increase the area of protected forests except on a voluntary basis. According to party chair Jussi Halla-aho, harvesting levels may be increased. He also wants to safeguard sufficient funding for the national parks. According to the Finns Party, ’biofuels are good if produced from the sidestreams of agriculture and forestry,’ but that they can only be a local solution. The party wants to support the production of fuel and heat on agricultural farms for their own use, which would also improve crisis preparedness. From the perspective of the ecosystem this does not make sense. In Finland, the use of wood is climate positive and the carbon storage of forests keeps growing all the time, here and now. The Greens of Finland want to make all use of cars emission-free before 2040. They would only allow ‘air, marine and heavy road transport’ to use biofuels. According to the Greens, ’the actual climate impact of forest use should be taken into account when evaluating climate actions.’ If ’actual climate impact’ means something other than a compromise resulting from political negotiations, the statement is indeed encouraging. Investments in low-emission and renewable production should be financially supported in a technology-neutral way. Yet, the Greens say nothing about how to evaluate whether production is low-emission – something that is crucial for the use of different biomasses. According to party chair Pekka Haavisto, harvesting levels should not be increased. But wood construction should be promoted, and again, by land use planning, but also by investing in education and research and revising building regulations. The Greens also want to allocate more money to the Metso programme, and they even have a target figure for protection: at least ten percent of the forests in southern Finland should be protected. What the party means here by ’forest’ is not defined. If they concur with the environmental organisations, the areas to be protected would be the forests best suited for the production of raw material for wood construction and the area of protected forest in southern Finland would increase 2.5-fold. The Greens also want to establish more national parks and would like to see better harvesting methods in state-owned forests – but they do not demand a ban for clearcutting. And, as if in parentheses, they demand the Green Belt protection zone on the Finnish-Russian border to be extended. Perhaps the most interesting demand of the Greens is that state financial support for environmental organisations should be increased. Could any other party have the courage to publicly demand this for the benefit of their own background organisations? The Left Alliance, successor of the late Finnish People’s Democratic League, has the lowest numbers on its bingo card: they want to make Finland carbon negative by the early 2030s. The party wants to make ’climate heroes of the farmers and forest owners’ by rewarding them if they postpone logging their forests; this most likely refers to regeneration fellings. This would be a ’win-win situation.’ Even though ’some of the rewards would be recovered through taxation,’ the forest owner would benefit, because the timber would be stouter at the time of selling and thus bring in more revenue. Still, not everybody would win. It is quite usual, though astonishing, especially in the case of a left-wing party, that what the timber is used for – or in this case, not used – after logging is of no interest at all. What about all the jobs in all the forest-related industries? According to party chair Li Andersson, harvesting levels should not be increased. The party also wants to accelerate ecological restructuring by supporting R&D and by eliminating forms of financial support that are harmful for the environment, such as compensation for the expense of carbon emissions trade to industry and energy tax refunds to the ’climate heroes’, that is, the farmers. The party supports emission-free transport, achieved by the use of biogas and ethanol in cars. Wood construction should be made a national project, using the same measures as those suggested by other political parties. The party wants to update the protection programmes of forests and mires, to increase protection in southern Finland to cover ten percent of the forests and to safeguard the funding for the Metso programme. The election programme of the Christian Democrats is very concrete. They want to steer the use of cars towards lower emissions, without worrying overmuch about the best way of achieving this. The party considers that in public construction, carbon sequestration and the use of wood should be emphasized. The party chair Sari Essayah says that the current harvesting levels could be increased in the future. 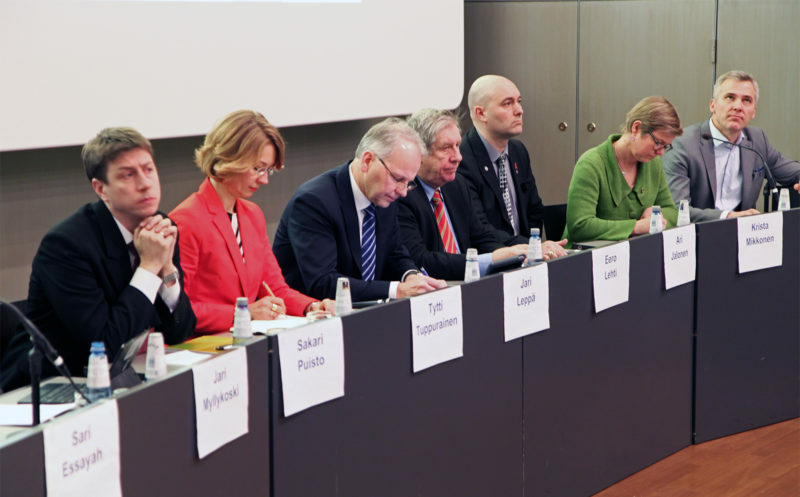 The opinions of the party chairs quoted here were mainly derived from their interventions in the panel discussion organised by the newspaper Maaseudun Tulevaisuus and the union of Finnish family forest owners MTK on 9 January 2019.